You no longer have to spend hours in the kitchen to eat healthy, delicious meals. Nowadays, you can order your food from meal delivery services and enjoy high-quality meals at affordable prices. 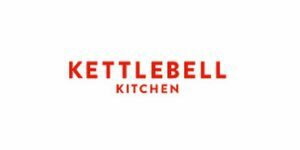 Not sure whether Kettlebell Kitchen or Top Chef Meals can better meet your needs? This Kettlebell Kitchen VS Top Chef Meals comparison can help you make an informed decision! Top Chef Meals offers customizable, made-to-order meals designed to accommodate various dietary requirements and available at affordable prices. Top Chef Meals provides its customers with several options to choose from, including A La Carte, Easy Order Packages, Diet plan, Paleo plan, Senior Meals, and Custom Meals. With Top Chef Meals, if you order a la carte, you can choose from around 150 meal options. Easy order packages include 9 meals each, the diet plan includes 4 options with 20 meals each, the Paleo plan includes 4 options with 15 meals each, senior meals are the same as easy order packages, and custom meals include various options which you can personalize based on calories, fat, sodium, and more. Top Chef Meals offers low-sodium, diabetic-friendly, renal-friendly, gluten-free, dairy-free, low-fat, Paleo-friendly, kid-friendly, and senior-friendly meals. Furthermore, it offers custom meals that you can build yourself choosing from a vast range of entrées, starches, and vegetables. With Top Chef Meals, all your meals are made fresh to order and delivered frozen to preserve quality and freshness. They are made of quality ingredients and come with a 100% quality guarantee. Top Chef Meals lunches and dinners usually contain between 300 and 500 calories per serving while breakfasts have between 200 and 400 calories. The portions are neither large nor skimpy. The meals are designed in accordance with the unique dietary needs of the company’s patrons, including seniors, children, diabetics, and other individuals with special nutritional requirements. If you wish to make any changes to your order from Top Chef Meals, contact the company's customer support team. Top Chef Meals may issue a credit to your account or provide you with a replacement if you receive meals that are damaged or spoiled as a result of shipping or delivery. I used to write dining out reviews for a local paper here in Long Island. I’m a very satisfied customer. Love most of the foods i’ve ordered and find the delivery and customer service excellent. I do have a suggestion though. Is there any way to add a lobster tail to a beef meal like filet mignon? (My favorite). Problem is, it’s hard to get to sample new meals that sound and look tempting since I have limited freezer space and keep reordering my favorites! I have been ordering these meals for a year now for my 85 year old Mom and have tried a few when I visit. Both of us love cooking and together have spent many years preparing, serving, and enjoying our meals. As Mom aged and meals began to be a problem, I ordered these for her, against her will, and she has, with only an exception or two, thoroughly enjoyed Top Chef dinners. Directions are detailed and highly specific to the individual meal, she has no difficulty following them, and Mom is especially impressed with their fish and fresh vegetables. Customer service has been great and they even noticed and called me regarding a meal I ordered that contained an ingredient Mom likes to avoid. After reading some of the one star ratings, I wonder if we're eating the same food. Not only does it taste good but she gets to maintain more independence and I can be assured she's eating nourishing meals. I ordered 10 different meals for my parents. There were 3 sets of directions and no matter how cooked the meals were so bad they could not eat them. Soggy, tasteless and meat like cardboard. After the 4th set of meals we threw the rest in the trash. Top Chef customer service was pathetic and ignored the complaint. A total waste of money and the worst customer service! I ordered these for my elderly mom who lives alone. She said they were tasteless. She tried 4 different meals and they were all bland and disappointing. I won't order from them again.